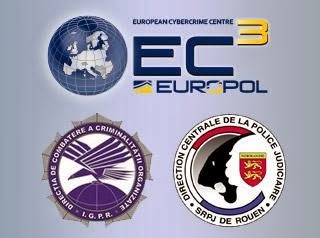 Romanian and French law enforcement authorities, supported by the European Cybercrime Centre (EC3) at Europol, have successfully dismantled a Romanian organised crime group involved in international payment card skimming and associated fraud. During a raid on 17 January 2014, 11 suspects were arrested as they planned to travel to Italy to commit skimming attacks. Among them was the leader of the criminal group as well as the financiers. In addition, 26 premises were searched and illegal equipment seized. Police also dismantled two factories producing skimming devices, including sophisticated miniaturised versions. This activity followed an earlier week-long surveillance exercise carried out by French and Romanian law enforcement officers. For more information read the related Press Release on the Europol website.